Good morning! We have had wonderful fall weather this week with temps in the 50 and 60’s. I hope you are having beautiful weather as well! 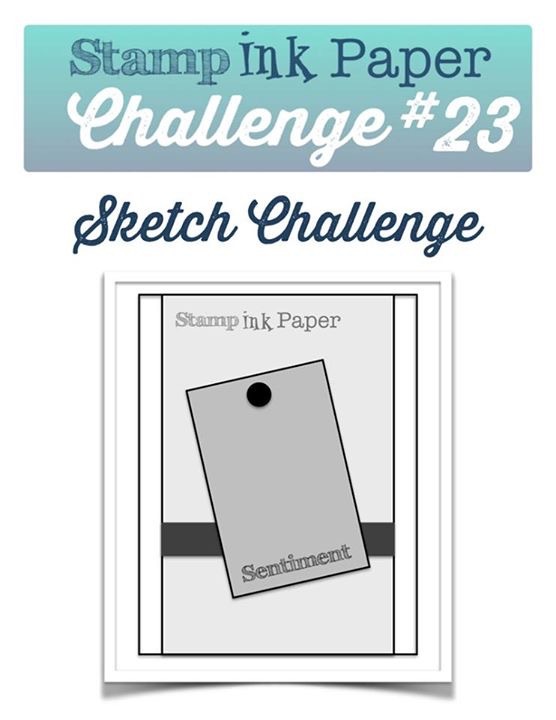 It’s Tuesday and that means we have another Challenege for you over at Stamp Ink Paper. For this challenge I choose to use the Home for Christmas dsp from SU. I started with Coastal Cabana for my card base. Then I have a layer of Real Red with a layer of the dsp and wrapped the striped ribbon around those layers and attached to my card. 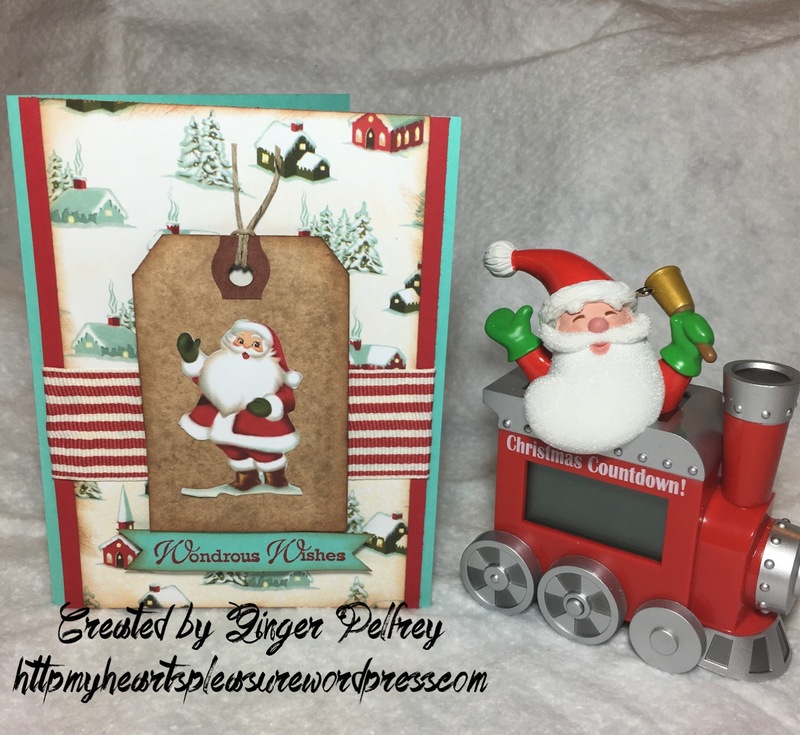 Next I grunged a craft tag and fussy cut one of the Santas from the dsp and added him to my tag and using pop dots layered the tag over top of the ribbon. To finish I stamped the sentiment from the set Wonderous Wishes on coastal cabana and cut flag ends on both sides and popped it right below the card. Thank you for stopping by and I hope you have enjoyed my card this week. I hope you can play along with us this week and can’t wait to see what you create! Pingback: 11 WOW! Paper Crafting Picks of the Week | Mary Fish - Stampin' Up! What a festive card, Ginger! I love blue and red together for Christmas, and that jolly Santa is the cutest! You cards are becoming a weekly feature on Mary’s WOW cards. Congratulations! Who would have thought Real Red and Coastal Cabana for Chrisrmas. You Go Girl!